In late August I posted a short video clip of myself on YT shooting a pistol, just to show that the slide action and shell casing ejections should be seen from a first person POV (as opposed to the video in the WDBJ "Shooting" event). Another YTuber made a video which incorporated mine to contrast with the fake one in the WDBJ "Shooting" in Virginia. It went viral and had almost a half million views in less than a week. YT removed it with the dubious explanation that it violated their policy on "shocking and disgusting content". Fortunately someone else has reposted the one below. Critical Mass wrote: For instance this issue of there being 'no blood'... I'm a little unsure what exactly people are referring to. That would be the pull-back picture of the fake murder scene showing someone (supposedly Adam) still laying on the "weathered wood" deck pretending to be dead. You can find the picture in the very first post of this thread, posted by Tarek701. Here is a video of a deer getting shot with a glock. As you can plainly see, the deer drops instantly. One shot...down...end of story. There is no screaming and running away. Please dont use this vid as reference. My father in law is a hunter. I am often in the woods with him. The rifle he uses is an "blaser r8" (on deer hunting). The caliber is much bigger than an 9mm (?) glock...and even with that, not every deer "lays in the fire". Good shot with the glock...nothing more. Sorry, for spelling errors and capitalizing...hate typing on my Smartphone. You may need to use spell check but thanks for the reality check Kopfhoerer. There are very much oddities. Should i post this, or is this derailing the Thread? PS: I totally failed to send this as an PM to you. 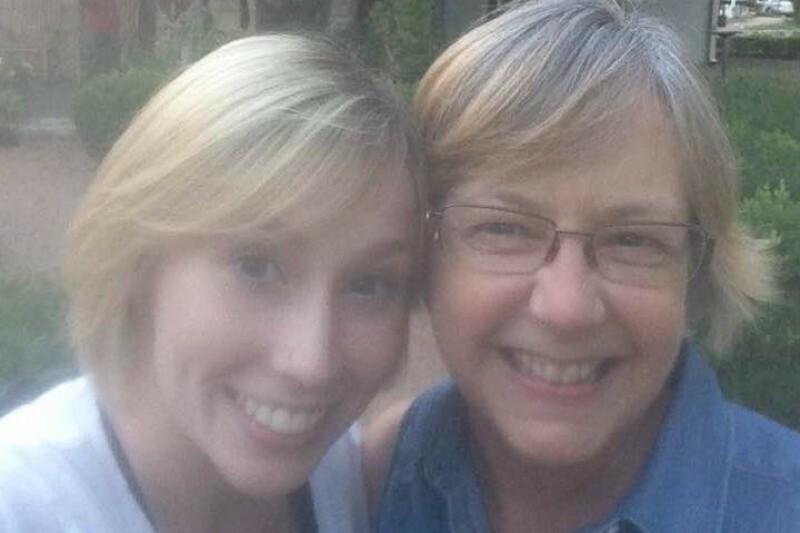 This missing Texas college student, named ZuZu Verk, looks alot like Alison Parker. I just glanced at this story today and began to notice the very close resemblance ZuZu has to Mizz Parker,. The parents also have a close resemblance to Alison's. Also, this is the first time I have seen a GoFundMe page set up for a search for a missing "person". Who needs a GFM for a search? That's a bloody good catch CI. To answer your question - Billary's Election Campaign that's who! Today is one week since precious Zuzu went missing. Many have held the family up in prayer and love this past week and wished we could do more. What we can do is assist the Verks with their expenses while in Alpine. Hotel, meals, gas, even laundry service costs will add up quickly – and probably already have as they have been there since Sunday. Prayers for the family. Do not have much money but I do have a washer & dryer should they need them. So the person who left the comment does not have much money, but offers up a washer and dryer for free to unknown people who are there temporarily in a hotel, whose finances they know nothing about?